Lest I forget in the craze of shoe shopping and accessory hunting, I should mention that I am way, way excited about the plans for our reception. And that is largely due to one singular, solitary soul: the man behind the turntables, the giver of the music, the DJ. 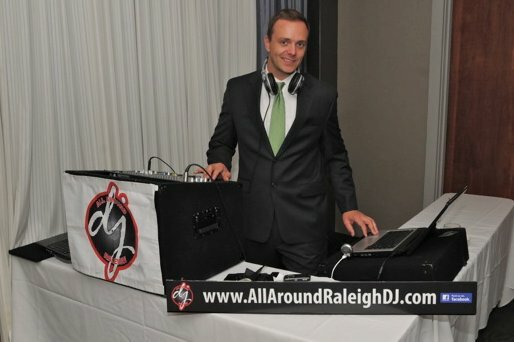 The DJ was one of the earliest vendors we booked, basically as soon as we had a venue. After some good ol’ Internet searches, some e-mailing back and forth with a couple of different DJs and then a phone call with the one who interested us the most, we were good to go. And now I can rest easy knowing I will not be resting easy at our reception. I’ll have a reason to get up on the dance floor and shake what my mama gave me. Every bride has a list of must-haves for their day. As I’ve stated earlier, flowers ain’t one of ’em for me. Music, on the other hand, is. For serious. When I envision my wedding, I envision one kick-booty party with lots of great tunes (You know…some good ’80s rock, some pop-tastic hits and a little Bublé thrown in for good measure.) and lotsa cuttin’ of some rugs. Seriously, I want those rugs to be shredded by the end of the night. This entry was posted in Uncategorized and tagged DJ, reception, wedding. Bookmark the permalink.